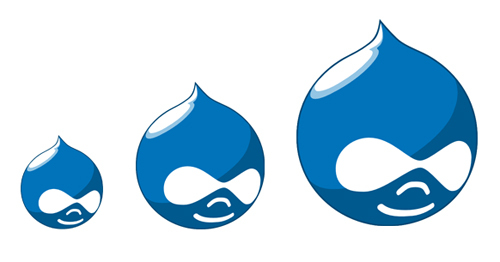 On the lookout for the best 2015 tools and services for web development and design? Look no more you have stumbled upon them. Let us tell you about the absolute tools you should use to improve your work and save time. 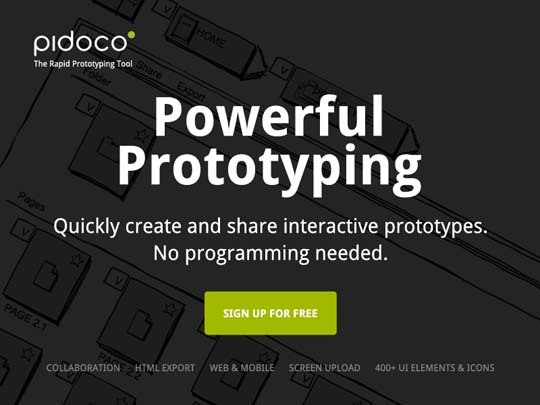 Pidoco is a wireframing app specifically designed for remote collaboration and user feedback: Real-time editing à la Google Docs, a commenting function, versioning, and a team function make working together a breeze. With a feature called “Extended Interactions” you can link up simple wireframes and turn them into highly interactive clickable prototypes that can recognize a large range of gestures when previewed on a mobile device. Other features include a very intuitive interface that make this tool really simple to use and master, a large element library with 400+ UI components and icons, HTML and PDF exports, and convenient sharing options. With Pidoco you can work faster and smarter and easily involve key stakeholders – it’s like sketching on a whiteboard, but using a computer. 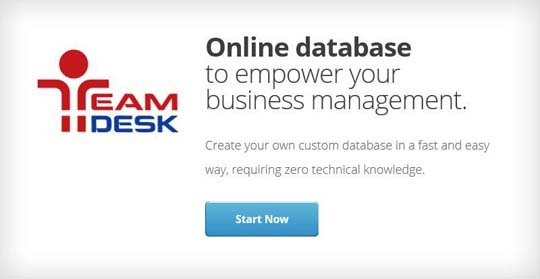 TeamDesk is a web application, which allows building and customizing your very own solutions and provides you the functionality of a complex database. Now, when I say “your own” – I really mean it. Forget about either unusable non-flexible web-based database applications that have too many unnecessary features, which makes it a pain to turn them all off, or the fixed templates, that force you to give up the functionalities, you actually expected from it and to drop the information or relations between your business information that you would actually like to see. At the same time the interface itself is extremely feasible and pretty self-explanatory and I didn’t face any difficulties, while using it. You can easily navigate and create or customize applications through it, even if it’s the first time you are using the web-based solution of that type. How many times you received an incomplete or uselesss bug report, because the users had a hard time explaining their issues ? Forget these nightmares and start using Usersnap. It’s a clever tool that will help you eliminate the need of asking for screenshots. With Usersnap, you will be able to capture and annotate every problem on your website, share snapshots and discuss them with your team, in a fast and nice way. 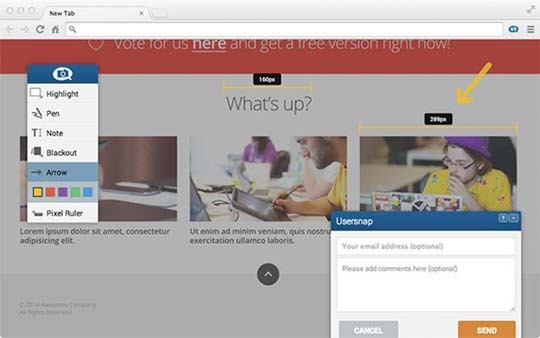 This awesome tool enables you to communicate visually and save lots of time. Probably the best part is that it doesn’t require any additional plugins. A very useful thing that HTML5Maker has, is that you can host your HTML5 content on the cloud, so you just need to focus on the creation part. 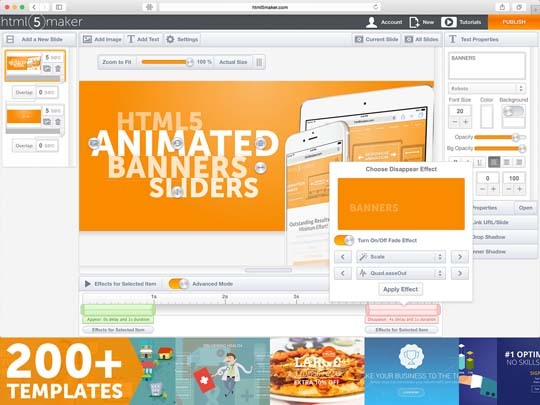 HTML5Maker suits any budget as the paid plans starts from $4.99 – $49.99 a month – the price increases with the animation limits (up to 100 for the $49.99/month plan). Without the need of coding or programming knowledge, Themify helps you design your website with just a few clicks. It’s so easy that anybody can do it. 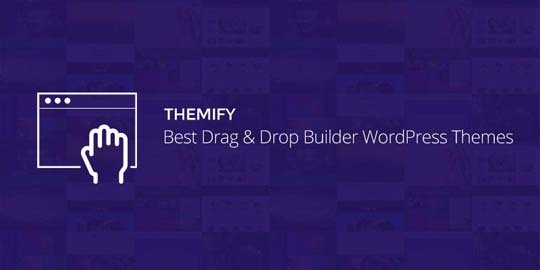 Thank to the Drag & Droper Builder, the shortcodes and the custom widgets, Themify will make your life easier and you will save a lot of time. Most users say that it’s the most efficient platform to use and we cannot argue with that. How difficult is to review email attachments? How about we reduce the conventional Download-Review-Upload-Send methodology down to 1 step? 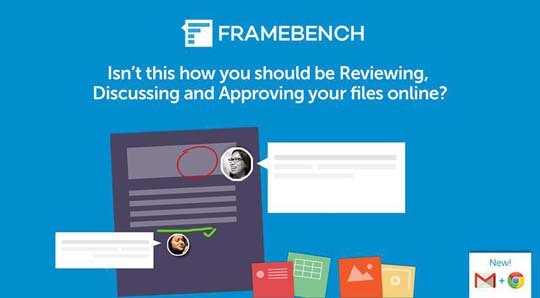 Framebench’s Mail Markup is an online tool to review the attachment, add your feedback in-line, and send it back right inside of Gmail without even downloading the file. It is really easy to use and a much recommended Chrome extension for all teams. Have you ever wished to have a place where you can find useful developer tools, impressive graphics resources and important eBooks ? 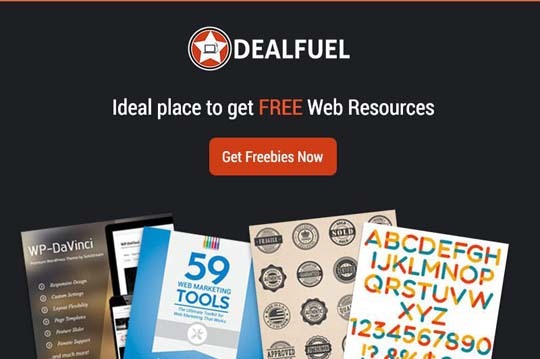 DealFuel is the place where you will spend hours, as it has anything you can think of, it’s like the best library you can imagine. And don’t forget about the numerous bundles that include a whole selection of useful resources. Synchronised testing is an efficient way to automatically perform the same action across a variety of browsers and devices simultaneously. Ghost Lab App is the best solution for speeding up the process of testing with the extra bonus of being able to remotely inspect and debug each connected browser. We cannot desire more than that. 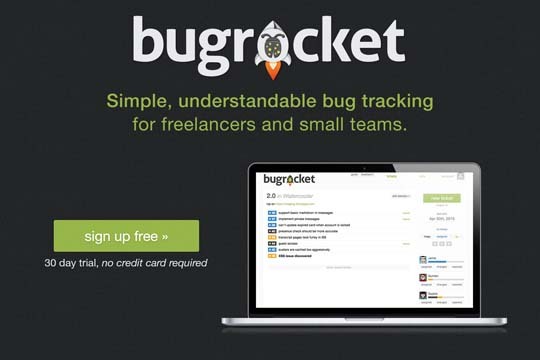 Using Bugrocket, you will forget all about struggling with your old bug tracker. Most bug management software is more complex than necessary, especially for small teams. Bugrocket has just the right amount of useful features to make you productive, yet stay out of your way so you can get things done. 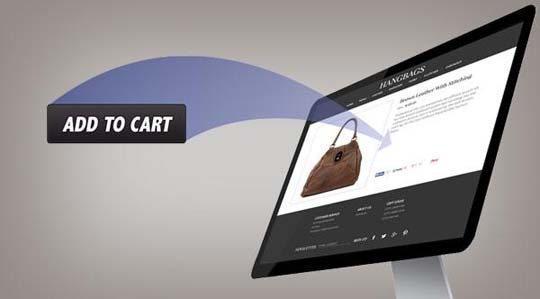 It doesn’t matter which are your e-commerce needs because ShopSite has all the tools and it’s an excellent product. It combines important and useful features with simple navigation principles for an awesome price. Don’t forget that ShopSite provides real-time credit card authorization through integrated payment gateways, along with detailed sales, inventory and traffic reports. You need to create some nice and sweet cartoons ? 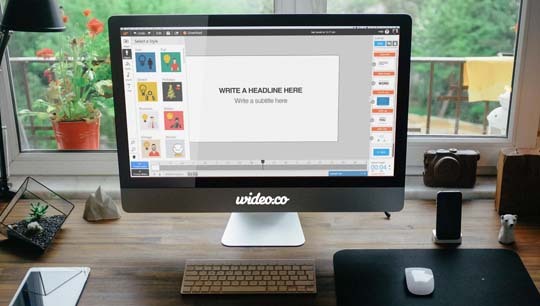 Wideo makes your life easier, as it’s the best solution for making awesome videos. It has a brilliant interface that helps you to apply text or music, even your own pieces, by the way. The timeline makes the process visual and convenient. If you need a sequence of actions, you can clone the scenes. Awesome feature !